• OfficeMax will match advertised prices that are available to the general public on products (not services or delivery charges) from competing companies. • The product must be identical to OfficeMax’s product (same brand, model number, supplier product code, contain the same components and the published price must be applicable for the same quantity). • OfficeMax must be able to verify the price and product availability at the time of the request. o The product must be in stock and publically available to purchase for at least 24 hours, ready for delivery and offered under the same conditions. • Not available with any other OfficeMax discounts such as promo codes, vouchers or employee discounts. • OfficeMax reserves the right to discontinue or amend the conditions of this policy at any time. OfficeMax standard terms and conditions apply. Prices may differ in store to those found online. 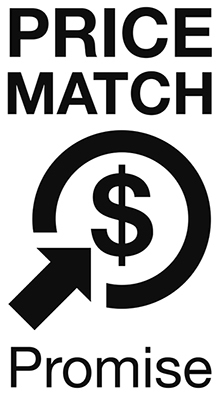 Please make your price match claim before you place an order with us. Visit us in store or call us on 0800 724 440.